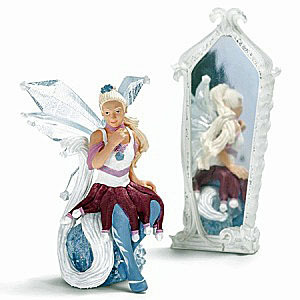 Schleich 70470 - This ice elf has got a very special magic mirror she is able to behold what’s far away. Ice elf Chriseya has a very special magic mirror and with it she can see things that are far away. If she cannot meet her best friends, she looks into the mirror to check that they are fine. She frequently looks at herself in the mirror, puts an ice flower in her hair and smiles.